Any economic growth, beyond just transactional trade and investments is based on people – to – people links starting at leadership level. India Economic Strategy (IES) 2035 report authored by Mr. Peter N. Varghese, Chancellor, University of Queensland recognises the importance of people – to people links as part of the bilateral architecture and being leadership driven. These include political, bureaucrat, business and sectoral leaders at ground level building trust, social understanding and cultural capacity between countries over a period of time consistently. This diplomacy approach includes but goes beyond on–going arts and cultural exchanges or programs between countries. Crisis such as the Doklam conflict between India and China was diffused by a well-planned “informal” meeting of PM Modi and President Xi at Wuhan, China. The Wuhan program was set with social and cultural exposure to reiterate the bond between the two-leadership translating to its bilateral relationship. It was a conscious decision by PM Modi bonding with former PM Turnbull with a metro ride and time spent at Akshardham Temple to first establish their leadership trust. PM Modi thereby, signalled that India’s foreign relations has grown in strength not only based on its strategic and economic priorities but also its history, multi-cultural values and social equity. India and Australia both have a multi-cultural society and work environment that requires government and leaders across sectors to be equipped with cultural intelligence as a skill. Cultural intelligence skill not only plays an important role among stakeholders shaping diplomacy, domestic and international policies but also for businesses, industries, communities and society overall. Cultural intelligence is also known within business as “cultural quotient” or “CQ”, a theory within management and organisational psychology. This is a critical gap I foresee where bilateral stakeholders are unable to apply this skill which is commonly misunderstood for cultural exposure or knowledge of a country. In Australian diplomacy, bureaucrats and political leadership need to consider shifting from the lens of “Anglosphere or Anglo-Saxon” to a socio-cultural lens of India for its bilateral engagement. It will allow Australia to interpret India’s vision of development and new strategic narrative from non-alignment to multi-alignment in context to India’s foreign policy of a new global order. Australia’s foreign policy towards India can lend a new dimension with a relevant inclusion of cultural diplomacy which is still conventionally viewed as state-sponsored/ supported arts and cultural exchange. Cultural diplomacy needs to have an inclusive approach of bringing government and business leaders to consult with social sector, sustainability and cultural leaders for policy development. The case for such policy consultation required is that economic investments can’t be made in any geography without a social, ecological and cultural audit of the region. The socio-cultural insights make the deployment of investments effective and mitigates on-ground resistance or bottle-necks such as the Adani case. Australia’s own domestic policies for a multi-cultural society and economy could benefit from building cultural capacity among policy makers and influencers. A positive start in this direction has been Victoria state’s India strategy India strategy released in 2018 underpinning the importance of cultural understanding in its domestic policy approach and India engagement. India’s socio-cultural diversity and complexities can be leveraged as a demographic dividend with access to the largest youth population (under 35 years) in the world. The report highlights this opportunity in each sector and state – wise focus. Australian trade and business ecosystem is inclined towards short-term results and being transactional rather than long-term relationship and opportunities. Unlike the Indian counterpart, that prioritises trust and relationship building as a propeller for transactional trade and business collaborations. Macquarie CEO recently emphasised on Australia looking at India for business with patience and nurturing long term relationship. The bilateral ecosystem stakeholders including bodies such as Australia India Business Council, Australian Trade in India need to integrate cultural capacity as a tool of engagement for business and trade opportunities. Australian corporate companies that also employs a multi-cultural and multi-ethnic workforce would benefit from cultural intelligence skills in their work environment as they expand across Indo-pacific region. Leadership starts with education and community engagement. The Australian education sector can lead capacity building of cultural intelligence among education leaders and student community as future leaders. The education sector is the largest export from Australia and home to the second largest student population from India. Cultural capacity is an ideal tool to bring diverse student population (including local Australian student’s cultural capacity) across Australian universities to not just leverage this skill in their education or work environment but also in their respective communities/ societies. This skill is also helpful to Australian leadership, team and faculties within universities to be more effective in attracting Indian students to study but importantly, mentoring students to thrive as working professionals and positive contributors to the society. Additionally, there is a critical gap of Australian mainstream media and online platform’s presence in India for consistent and on-ground coverage of our large diverse country. A biased exposure and skewed interpretations of India hasn’t helped Australians with a more current and multi-dimensional perspectives of India. The strategy and opportunities laid out in the IES 2035 report can be realised when leadership across the bilateral spectrum recognise cultural capacity as a multiplier of growth. 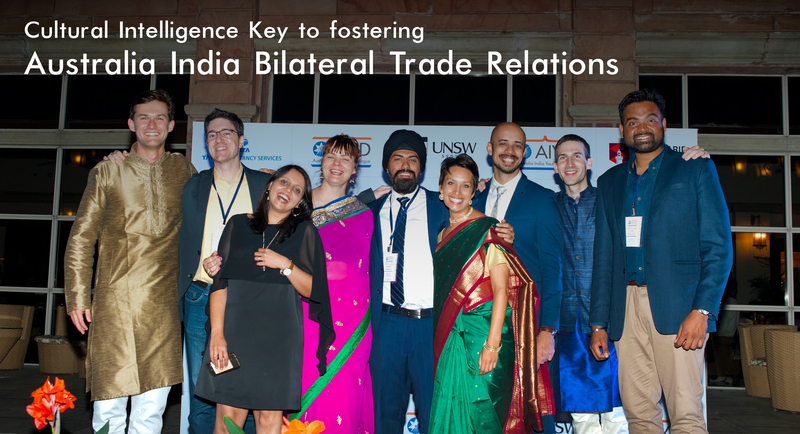 Cultural diplomacy and intelligence can be strong lever that can propel the economic prosperity vision of 2035 for Australia with India.